Sam & Patti trained 4 pastors and wives to lead CBS studies in April. 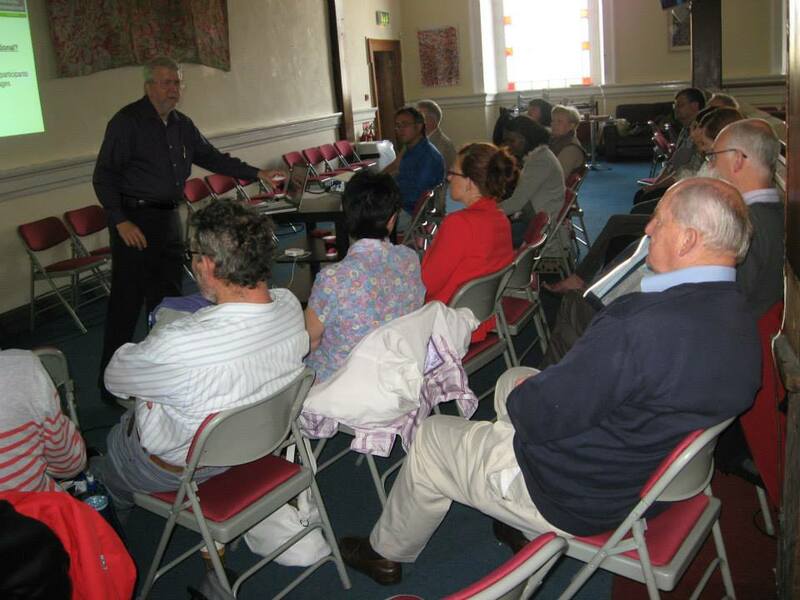 The pastors lead two churches in Sligo and Galway under the auspices of World Venture. We conducted a full day of training on Saturday, sharing dinner and fellowship with them on Friday evening as shown below. Then on Sunday we joined the Sligo team for their worship and lunch afterwards. We had a wonderful time together and hope that they will be able to start some outreach studies by September. 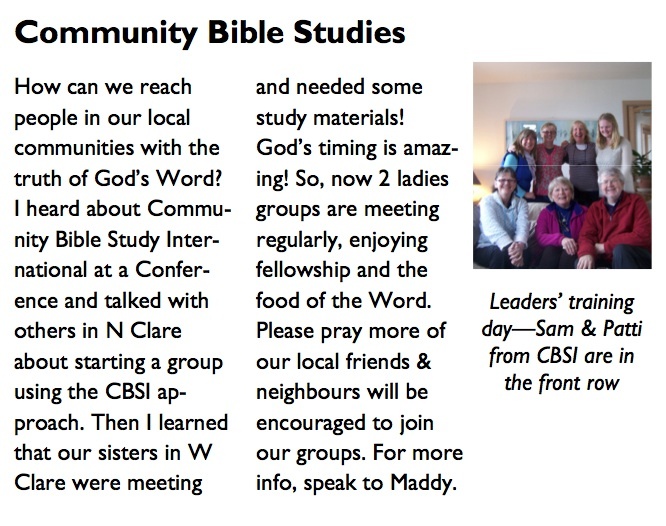 In March, about 25 joined us as we celebrated another year of CBS Bible studies in Ireland. We were encouraged to have 3 guests invited by group members joining us to learn more about CBS. We were even more encouraged that all 3 of those responded by getting involved in studies in their areas. 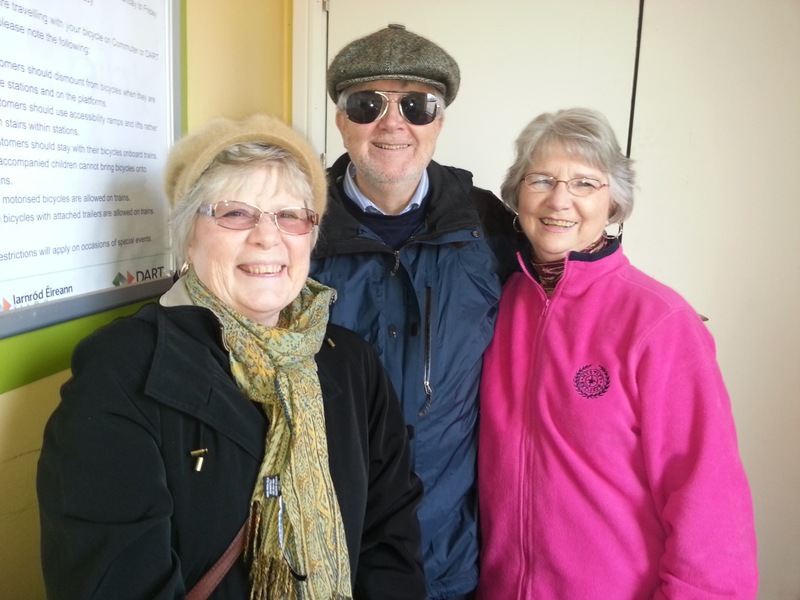 Charles and Jean Driscoll were with us as part of their first trip to Ireland as Calebs, having just returned from an exploratory trip to Cork. They shared with the group about their call to be Calebs to Ireland and about the Children and Youth Ministry they hope to build here. At a dinner in south Dublin on 26 Feb, 26 people gathered to dine, fellowship, and celebrate what God has been doing through CBS in Ireland over the last year. We were delighted to have several with us who came to learn about CBS for the first time. Below is the video we put together and showed during dessert of pictures we have of classes studying together or gathering for previous celebrations since 2004. 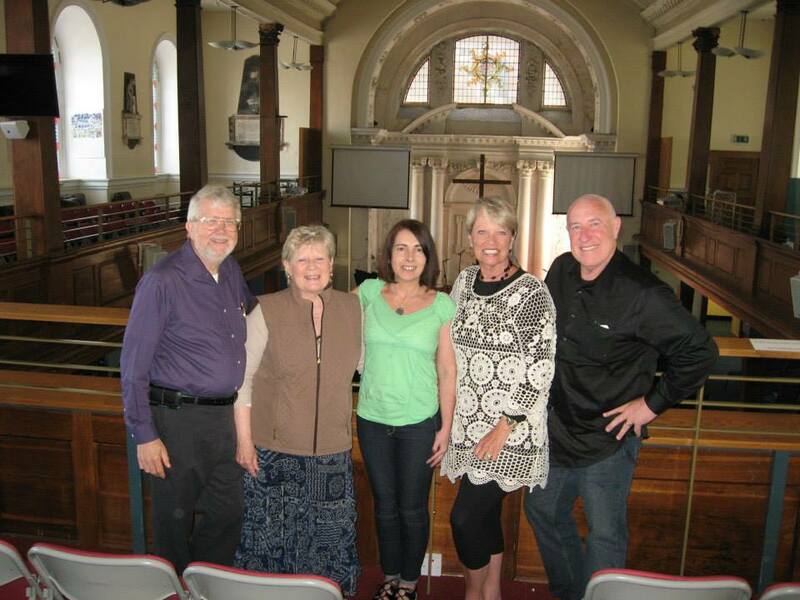 Since March, Sam and Patti have been working with the key leaders of an Irish prison ministry called RELEASE, to establish a Bible Academy for prisoners using CBSI studies. In the picture above, we are conducting initial training for about 20 volunteers who have expressed interest in becoming study leaders. Studies are slated to begin in August in two prisons and we will be training these volunteers by doing studies together over the next month. Sam and Patti have been working closely with Connie, center, who is the RELEASE Volunteer Manager, and Tip (with wife Laurie) who was introduced at this meeting as the new Dean of Studies for the Bible Academy. Tip and Laurie are also missionaries from the US, having moved back to Ireland a few years ago to work with recovering addicts. We met Tip and Laurie through Tim and Cathy Rutman who knew them from their home church in Virginia. Pray for us and this ministry as it has much potential for widespread impact. RELEASE is beginning to work in two additional prisons this year, so should be starting studies in those as soon as the time is right. Tip even invited some friends from Galway who have expressed interest in doing something in a 5th prison in their area. 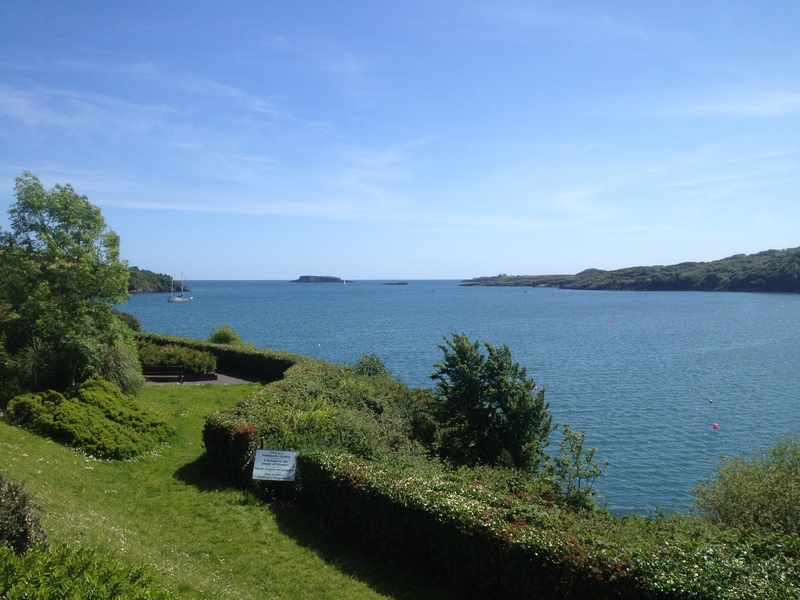 Here are a few pictures of our time in West Cork celebrating our 45th anniversary on 13 June. A wonderful and beautiful area to celebrate, as well as have some relaxing time together. 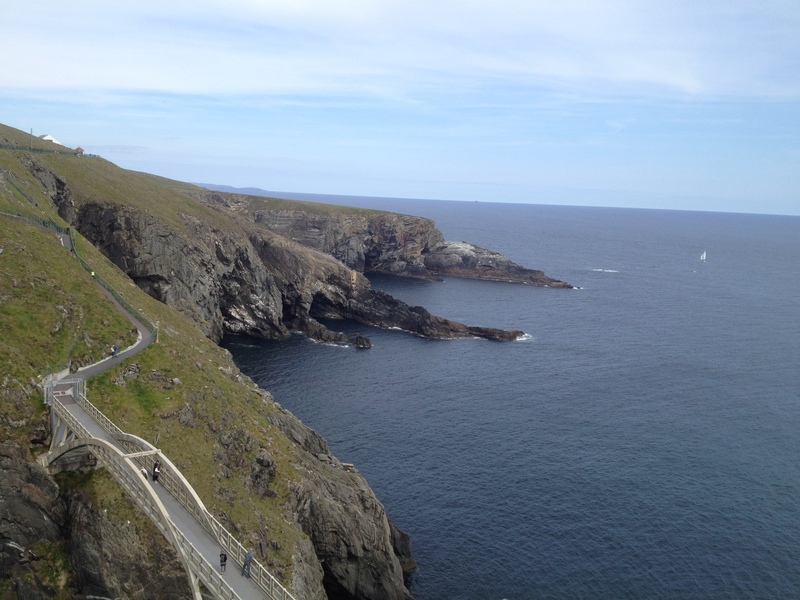 The bridge and shoreline at Mizen Head, one of the closest places in Ireland to the U.S.
Pray for us and rejoice with us this Friday as we celebrate another year of growth for CBSI-Ireland. We are expecting more than 30 leaders, study participants, spouses, and special guests to eat, fellowship, and share stories of how God is working in and around us. We have doubled the number of studies this year, so there will be many people who are joining us for the first time. Pray that this would be a special time of blessing and encouragement for all and that spouses and others that are not yet in a study would have a desire to get in on the blessing. We will be meeting at 8pm, which will be 3pm in the US east coast. 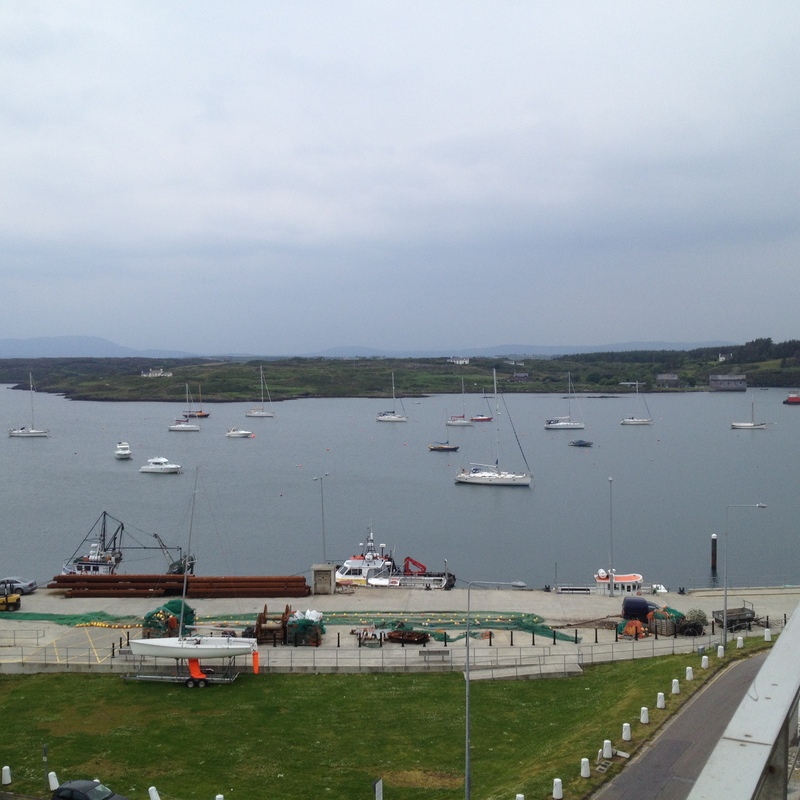 We traveled across Ireland to Ennis & Lisdoonvarna to train 5 ladies to lead two studies. All of the leaders were from the same church, which published a story about the training in their monthly newsletter as shown below. It was a wonderful time together and we also got to enjoy traveling in some beautiful areas of the west coast. 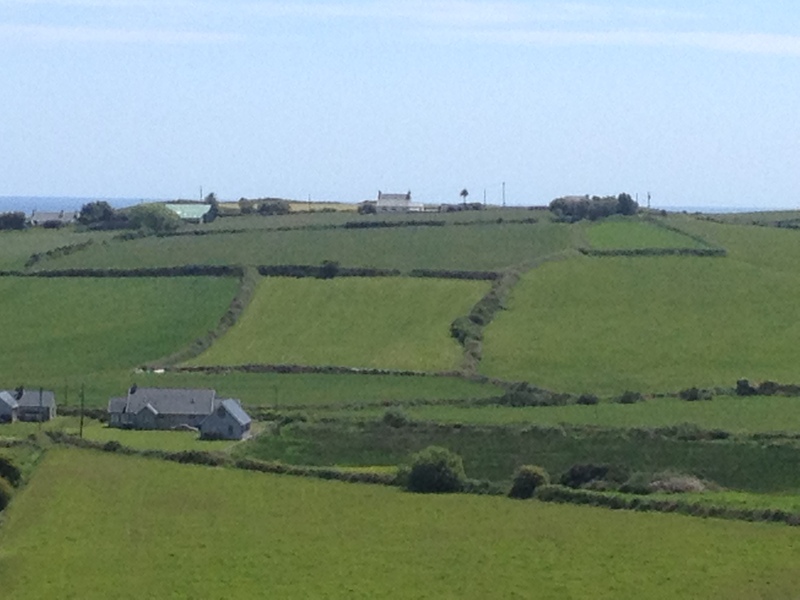 The training was held in one of the ladies’ home on the coast, just a few miles from the famous Cliffs of Moher. Sam & Patti conduct training for new study leaders. We had the joy this week of having Cathy Rutman visiting for a few days. Cathy arrived late Sunday night, so we had a late evening of catching up. On Monday we had a visit with the host family that we rent from and that Tim and Cathy rented from for several years. Later in the day we visited and had dinner with other dear friends that were instrumental in helping to get the CBSI-Ireland ministry 15 years ago and even before. 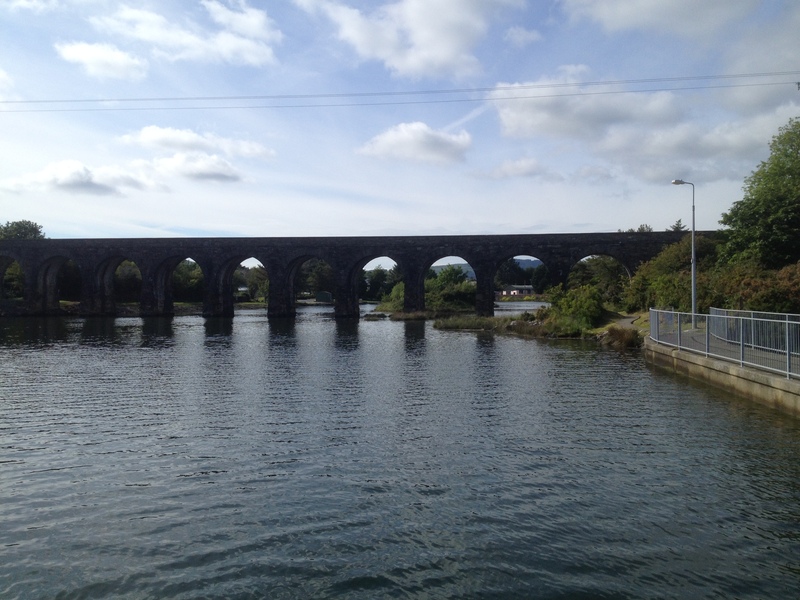 Tuesday, after Cathy attended a new ladies CBSI study in Donabate with Patti, we all hopped on the train for a day in Dublin, shopping in her old ‘stomping grounds’. Below is a picture of us waiting for the train. Early Thursday morning Cathy returned to Budapest where she and her daughter have been visiting her grandson, his wife, and their two-month-old baby. A few days before Oct 12, we received a surprise invite from Veronica, the incoming CBSI-Europe Regional Director. Veronica has been our CBSI supervisor for several years and we were giving her an update on Ireland. One of the items had implications throughout Europe and she wanted to bring it up at the Europe Regional Servants Team (RST) the following week in Budapest. Veronica said she had wanted to ask us before if we would consider coming to represent the Calebs to Europe, but thought we would be too busy since we had just arrived back in Ireland. Indeed we had been busy, but were available during this time to represent the Calebs and discuss relevant issues. 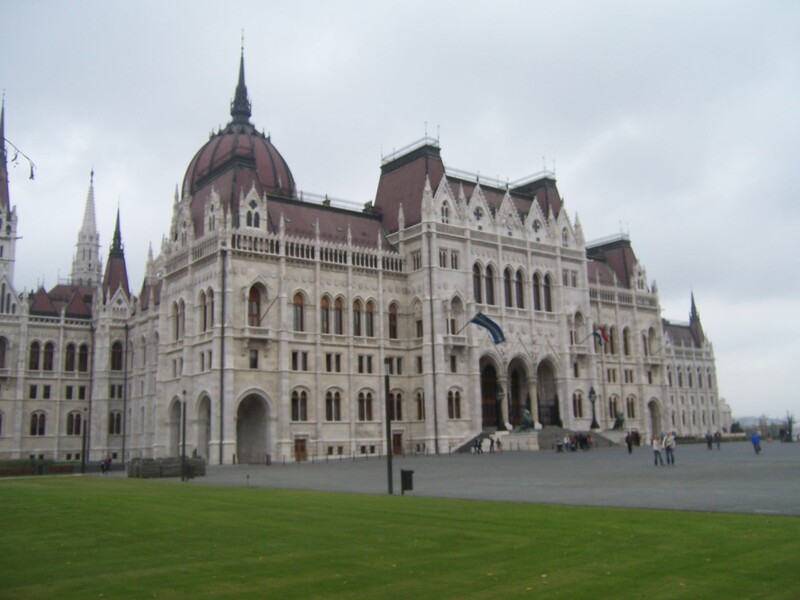 So we made arrangements and headed to Budapest for a few days … fortunately, the Europe ministry was able to cover our expenses. We enjoyed two days of meetings and meals with Veronica and four others from around Europe who provide overall leadership to the ministry in Europe. It was a great time of getting to know the other team members better and learning about future plans for the ministry in Europe as we transition to a new director as well as changes in the ministry worldwide. Since the meeting Veronica has confirmed her desire for us to represent the Calebs on the RST for a few years. There were also some personal highlights on the trip. Tim and Cathy Rutman, original Calebs to Ireland and dear friends, have a grandson living in Budapest. Their grandson’s wife just had a baby two months ago and Cathy and her daughter were flying to visit them, arriving on Wed, the 15th. Since we wanted a day to get to see Budapest, we planned our trip to stay an extra day and leaving on Wed, just a few hours after Cathy’s arrival. Our hotel was just 5 minutes from their grandson’s home, so they invited us to come over for tea and dessert on Tues evening. He even came to the hotel to take us back on the tram. Over tea and dessert he laid out a plan to take the tram and metro downtown to visit some recommended sites. The plan included getting back to their tram stop where they would be waiting with out suitcases and we would all head off to the airport to pick up Cathy and his mom. So we got to enjoy a day of touring (and shopping) in Budapest and time with Cathy’s grandson and wife (whom we already knew from their time living in Virginia). And topped it off with a half-hour visit with Cathy and her daughter in the Budapest airport. It was probably a good thing that their son was sleeping while we were visiting Tuesday night … Cathy would probably have been very jealous if we had been able to hold him before she did. Now for some pictures from our trip. 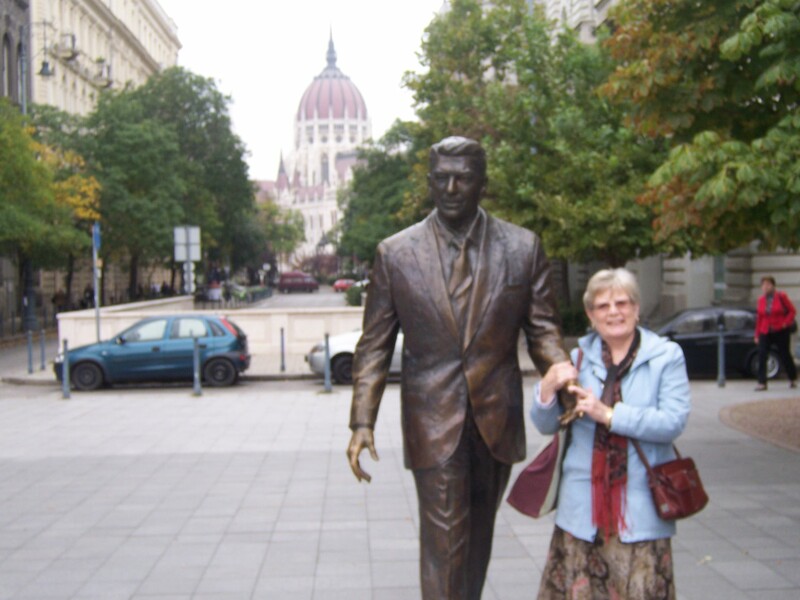 It was interesting to learn that the people of Hungary were so appreciative of the part that the U.S. had in bringing down the iron curtain, that they had a statue of Ronald Reagan built in the square near the Parliament building in Budapest. 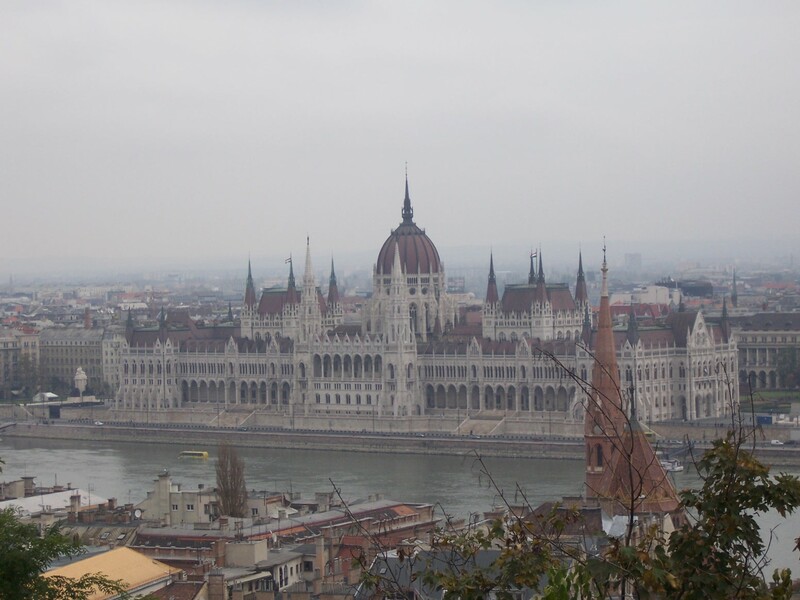 Hungarian Parliament Building from the Castle District across the Danube River. 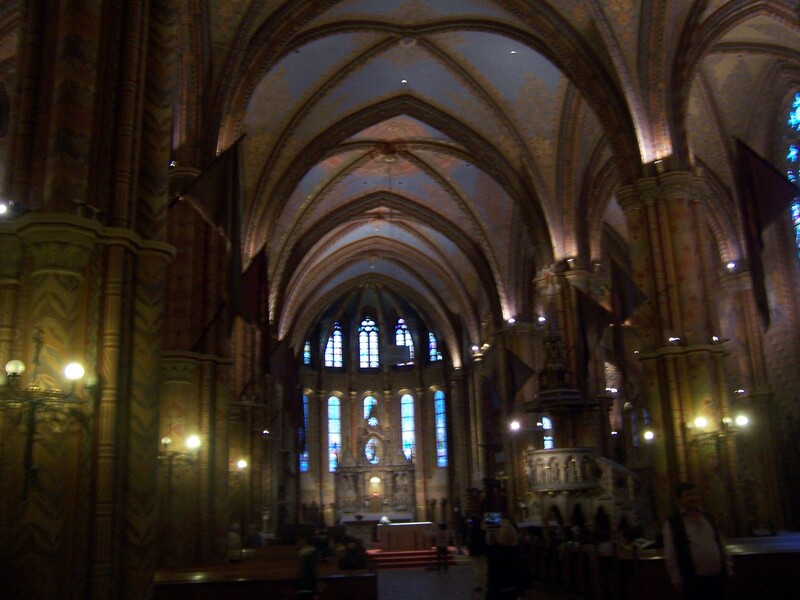 Beautiful interior of historic St Matthias Church in the Castle District. 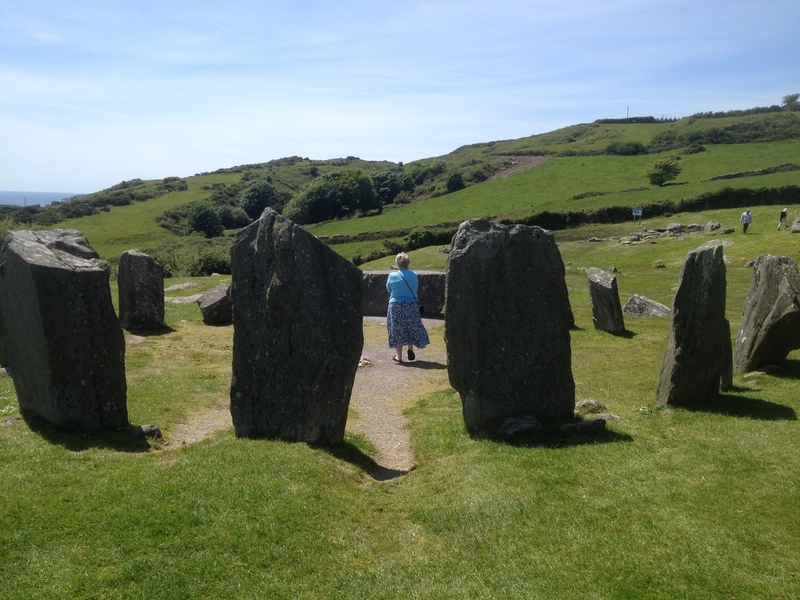 Over the last year, Patti has been attending a ladies Bible study in Donabate, about 20 minutes from where we were living in Rush. 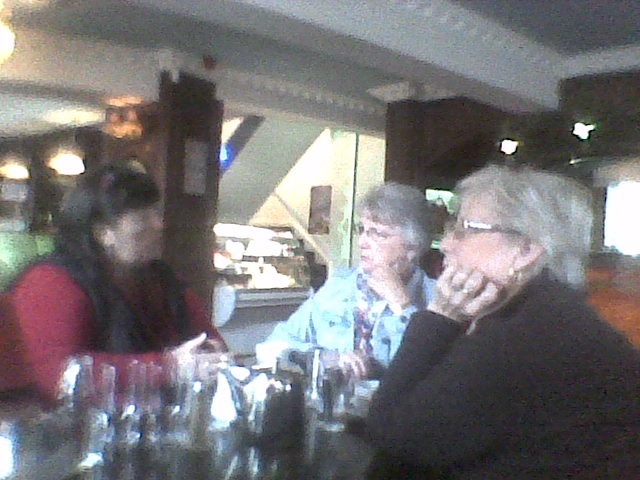 The leader of the study and several of the ladies worshipped the same church with us in Donabate. Though they were not a CBSI study, they functioned much like one. The study was made up of 15-18 ladies from Western Europe, Eastern Europe, and Africa. Since Donabate was still about 20 minutes from our new apartment, we decided to continue to participate in the study and the church. When Antoinette, the study leader, told Patti before their summer break that she was planning on studying Joshua this year, Patti asked if she would be interested in looking at the CBSI study in Joshua. She was interested and once she reviewed it, she wanted to use it. She was also excited to hear of CBSI’s team approach to leadership and that we provided training. Before we went home for a few weeks in September, we arranged to train any of the ladies interested in being part of the group’s leadership or in possibly starting a study elsewhere, either in their local community here or in their home country when they returned. On 7 Oct, most of the ladies came for training by Sam and Patti. Antoinette had already agreed to be the primary leader / teacher, but we let them know that we really wanted for others, as God led, to step up to either teach, facilitate a discussion group, or be the coordinator. By the end of the day, we had a volunteer for discussion group facilitator and since have had another as well as a couple to share the teaching load. Patti had agreed earlier to help in these roles as needed, but it looks like God is raising up the leaders that are needed. Praising Him!